UPDATE 13th December: Reminders sent via twitter to the 45 contacts who are now on the list for this. I’ve checked with the Royal Oak that they don’t have anything on that evening. Just a precaution as we’ve been a bigger group each time. As mentioned in the report on the last tweetup, this is a temporary move to a Tuesday, due to there being a council meeting which is compulsory for all councillors… which would deprive us of several ‘regulars’. I’ll be sending out reminders via twitter as we get nearer the time. I may update this post as and when I get a sense of who’s coming. As usual – please spread the word. 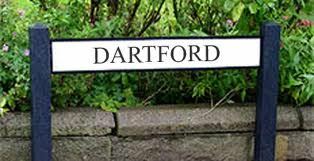 For anyone new to this – thinking of coming for the first time – it’s an informal social gathering for twitter users in the Dartford area. [Plus the ambassador from Woolwich ;0) ] No agenda, no special purpose. See my last report for topics covered. Any ideas, questions, responses then, as usual, just leave a Comment below or tweet me @grimbold.